Like the LilyPad Arduino boards, the Arduino Gemma is designed to create interactive projects you can wear. It can be sewn into clothing and other fabric with conductive thread and be connected to sensors and actuators. After you explored the Getting Started page and learn how to move the first steps with it, it’s time to explore its features with a real project. Becky Stern from Adafruit recently created a tutorial for making a vibrating mindfulness bracelet and learn the basics of wearables with Gemma! It’s like that “stand up every hour” feature you find on smart watches, but DIY. 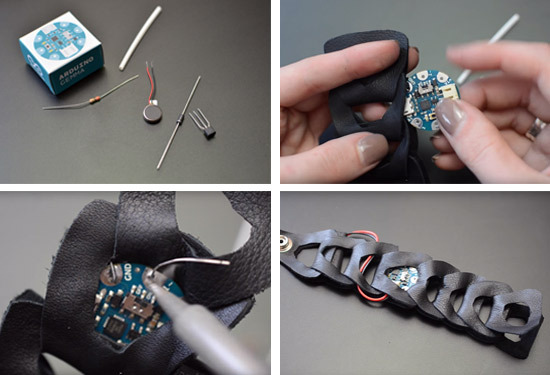 The guide shows you how to solder up the circuit using an Arduino Gemma microcontroller, small pager motor, as well as how to whip up a cute linked leather bracelet to hold everything. 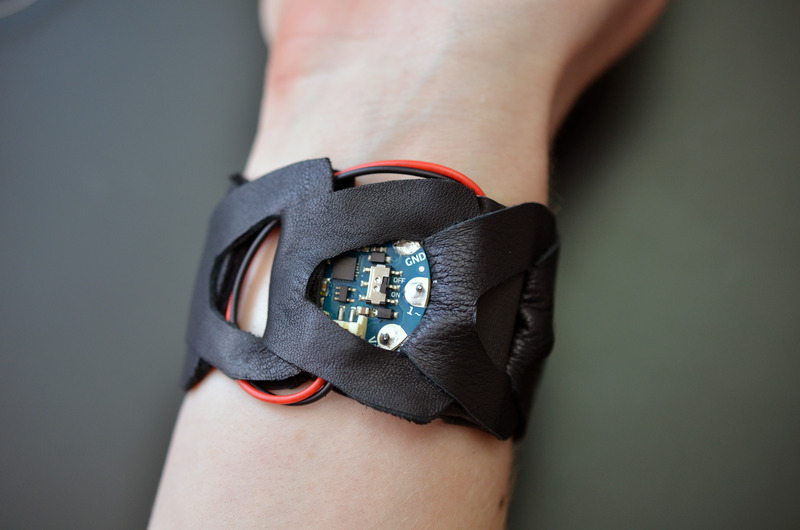 Build yourself a buzzing bracelet for subtle haptic feedback as time passes! It’s great for reminding yourself to get up and walk away from your desk for a few minutes each hour, or just as a way to have a new awareness of how the perception of passing time varies based on what you’re doing. Read the bill of materials, follow the steps and create your Buzzing Mindfulness Bracelet on Adafruit. Interesting idea, bringing microcontroller, wearable craft/art and mindfulness together! Cheers.